From Eden to Exile: Unraveling Mysteries of the Bible by Prof. Eric Cline has been chosen to receive the Best Popular Book on Archaeology 2009 Biblical Archaeology Society (BAS) Publication Award for books published in 2007-2008. The formal announcement will appear in the upcoming 200th anniversary issue of Biblical Archaeology Review. The book analyzes from an archaeological and historical perspective various "mysteries" in the Hebrew scriptures -- stories such as Noah's ark and Joshua's destruction of Jericho -- and proposes solutions that reconcile science, historical method, and traditional text. For more on this book, visit National Geographic Books. On July 1st, Professor Barbara Miller joined the Elliott School administration as Associate Dean for Faculty Affairs. Her new office is room 401e, 1957 E St., NW. She will continue to teach Introduction to Cultural Anthropology (Anth 2) in the fall semester, a graduate seminar on Medical Anthropology in the spring (Anth 254), and a distance education version of freshmen cultural anthropology (Anth 2 DE) in the summer. To replace the two classes Professor Miller is no longer teaching, the Elliott School has hired a medical anthropologist in a postdoctoral position (see next entry under Faculty News). Catherine Timura comes to GW through a post-doctoral research and teaching appointment in the Elliott School of International Affairs. Professor Timura is a medical anthropologist who focuses on cultural change and continuity in Latin America. Her dissertation research at Yale University examined therapeutic decision-making in children's illnesses in highland Ecuador and how communities reflect upon their socioeconomic and political marginality in their explanatory models of illness. Her post-doctoral work at Vanderbilt University examined the distribution of illness beliefs and practices in western and southern Mexico and in Mexican migrant commu­nities in Nashville, Tennessee. She has consulted for Poverty Action and the Ford Foundation on a qualitative assessment of development and microfinance projects in Honduras and Peru and has served as a consultant at the World Health Organization. She will teach a graduate seminar on Health, Healing and Change in the Andes (Anth 222) in the fall semester and the undergraduate course on Health, Illness, and Healing (Anth 154) in the spring semester. Her office will be in 1957 E St., NW. "generate a pluralistic dialogue between the numerous ethnic and corporate groups inhabiting the area surrounding the Niger Bend region. 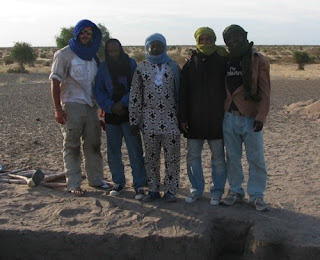 TEP endeavors to increase awareness of 1) the importance of preserving, researching, and understanding the region’s archaeology and cultural patrimony, 2) the long-term effects of local anthropogenic environmental change and 3) how to create a sustainable tourism that beneficially affects the latter two points." Douglas is a Ph.D candidate in Anthropological Archaeology at Yale and over more than eight seasons has carried out excavations in countries ranging from China to Greece. Congratulations to Professor Robin Bernstein and Jared Kaufman on the birth of their baby girl Vivian Margaret. 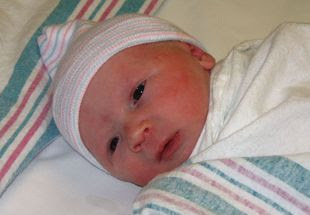 She was born on June 30, 2009 measuring 21 inches long and weighing 8lbs. Congratulations to the happy parents.